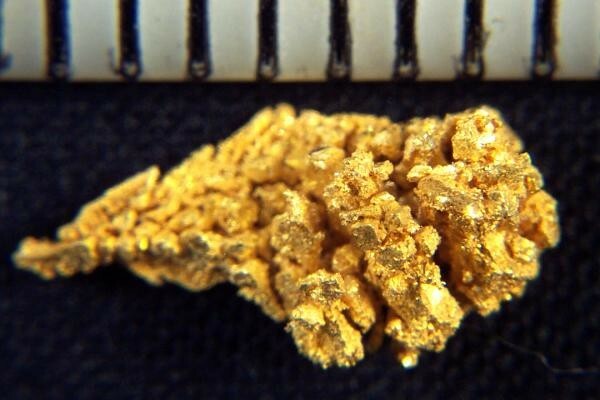 Gold Nugget with Trigons and Cubes - Extremely Rare - - It's Free! It's not very often that you see gold crystals in the form of cubes and trigons, but this gold nugget has them both. There are small cubes and partial cubes forming trigons. Incredibly rare and unique! 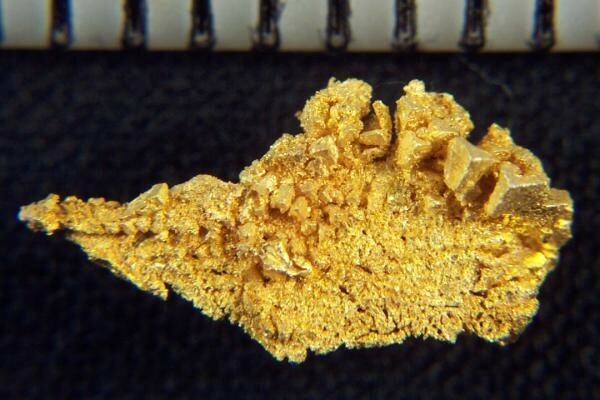 This beautiful gold specimen is from the Round Mountain Mine in Nevada. It is 1/2" long and the weight is 9.4 Grains (0.61 Gram). A truly exceptional gold specimen.